If you’re interested in having a tummy tuck, you’re likely wondering what the tummy tuck recovery process is like. We’ll help you understand the details of what to expect, as well as give you some tummy tuck recovery tips. Here are some frequently asked questions our tummy tuck patients often have. What kind of bandages will I have during my tummy tuck recovery? When you have a tummy tuck, you will have bandages and may have drain tubes. These thin tubes allow fluid to drain from your body, promoting healing and preventing the build-up of fluid near your incision. We will teach you or a friend/family member how to empty these tubes before you go home to recover. We will also schedule an appointment for you to come back and have the drains removed. In most cases you will also be wrapped in a compression garment after a tummy tuck. This compression is important because it helps reduce bruising and swelling, and can aid skin in tightening. Can I smoke after a tummy tuck? Smoking right after a tummy tuck can be very dangerous, and we ask that you refrain from smoking during recovery. Smoking slows down the healing process, and your body will be working to recover from a substantial operation. People who smoke are shown to have a higher chance of wound infection, and slower recovery of both muscle and skin. Additionally, smoking can make you cough which is something we want to avoid while your midsection is healing. When can I drink alcohol after tummy tuck surgery? After your operation you will be on prescription pain relievers, and during this time you should not drink any alcohol. Once you have stopped taking your pain medication, you can drink in moderation. Remember that your body will need a few months to heal, so the better your diet is during that time, the better your healing process will be. Can I take a bath or shower after my surgery? We will give you specific instructions based on your procedure, but in general you’ll be able to take a sponge bath after your tummy tuck, and shower carefully. Because you’ll be sore and may have drains in, you might not feel like showering for a few days. Since you’ll be in the recovery stage and on pain medication, it is safest to have someone help you shower at first. You may get light-headed and if you have drains in, you’ll need to keep those as dry as possible to prevent risk of infection. Why do I look so bloated after my tummy tuck? The reason you look or feel bloated is because of the swelling that occurs as a result of the procedure. This is very normal. Remember, a tummy tuck is a fairly serious surgery so your body needs time to heal. Within a few weeks you should see the swelling start to subside, and within 2-3 months should be seeing the positive results of your operation. How much time should I take off work after a tummy tuck? The amount of time you should expect to be off work depends on your type of job. If you have a job that requires little moving, like a desk job, you could be back to work in a week to 10 days. However, if your job requires physical movement or lifting, you could need a few weeks before returning to work. In general we estimate you’ll be free of restrictions within 6 weeks of your tummy tuck, but you still may have some residual swelling and soreness. Will I be on pain medication? Yes, you will be given pain medication after your tummy tuck. You’ll likely continue prescription pain medication use for 5 – 7 days, at which point you will be through the worst of the recovery period. You cannot drive while you are taking this pain medication, so make sure to arrange for as much help as you need. What kind of activities should I avoid during the tummy tuck recovery period? During the first week after a tummy tuck, it will difficult to move around and you will not be able to stand fully upright. However, you’ll want to refrain from staying completely still because there is a risk of developing blood clots. We’ll speak to you in detail about short walks and how to move your legs to increase circulation. You should not do any lifting right after your tummy tuck. It will be about 4 weeks before you can lift 20 pounds, and 6 – 8 weeks before you have your full ability to lift. What warning signs should I look for while I’m recovering from a tummy tuck? While it is expected you will have some fluid coming out of your drain tubes, any sign of active bleeding is a reason to call your doctor right away. Additionally, although infections and DVTs are rare after a tummy tuck, you should look out for fever, shortness of breath, or pain in your calf. Any of these are reasons for an immediate call to your doctor, or a trip to the emergency room to rule out serious complications. We want our patients to feel confident and safe during their recovery, so do not hesitate to call us with any concerns you have. 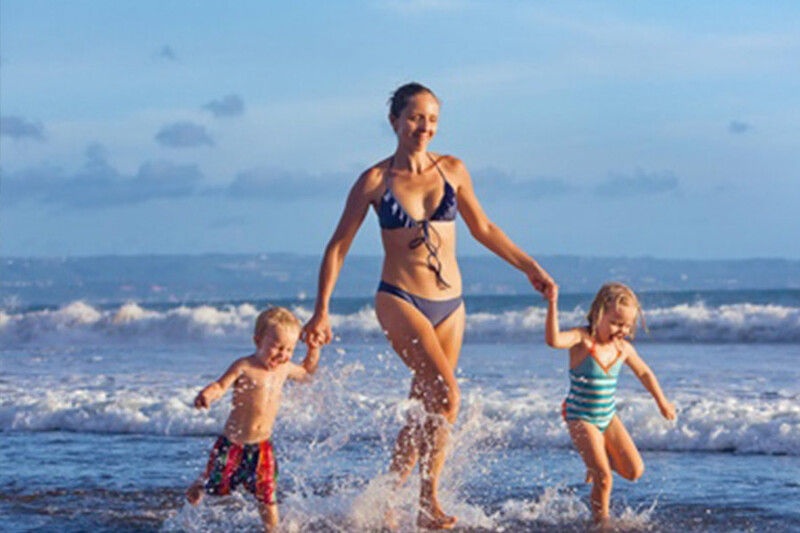 If you are considering having a tummy tuck, your questions about the tummy tuck recovery process are important to us at Athenix. Please get in touch with us if you would like to set up a consultation. We’re happy to answer any additional questions you have. Learn more about tummy tuck surgery in Los Angeles here, or tummy tuck surgery in Orange County here. Visit our Locations page to find our office nearest to you.